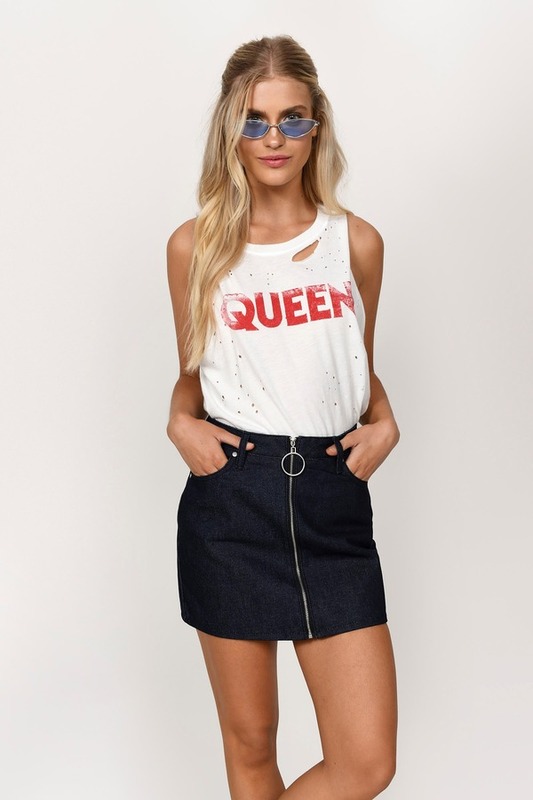 Check out Tobi's Saltair Denim High Rise Bodycon Skirt Zip through the seasons with the Saltair Denim High Rise Dark Blue Bodycon Skirt. This versatile zip front skirt features a high waisted construction, pockets, and a front zipper finished with a stylish O-ring. Pair this dark wash mini skirt with a flowy bodysuit for a flattering silhouette. Zip through the seasons with the Saltair Denim High Rise Dark Blue Bodycon Skirt. This versatile zip front skirt features a high waisted construction, pockets, and a front zipper finished with a stylish O-ring. Pair this dark wash mini skirt with a flowy bodysuit for a flattering silhouette. Dark Blue modeled on a size 25.